Why does it drive me nuts? It doesn’t mean anything and it’s rude. But, Jen! I really do have a value proposition! Yes, I’m sure you think you do. You think that whatever you’re selling is better than something else. You don’t need to tell me you have a value proposition, you need to tell me what you’re selling – product, service, everything. Your “value proposition” doesn’t have value unless the recipient of the proposition deems it to have value. Therefore, you have a proposition to which I get to assign value. Not all value is good. On to it just being rude… Like the phrase, “word-smithing,” “value proposition” is glossy wrapping paper on the mundane. People use it to sound smart and dumbfound their audience. It assumes that the recipient of this great value is an idiot and can’t see through the gloss. To those who have never heard “word-smithing,” consider yourself lucky – it just means editing. What’s wrong with being genuine in your goals and laying out the widget and demonstrating what it can and cannot do? If it’s really that great, the recipient will give it positive value. If you feel you need to use “value proposition,” the widget obviously needs glossy wrapping paper, and that, no one needs. Jennifer Nicoles Porter: the owner of the HR genes. 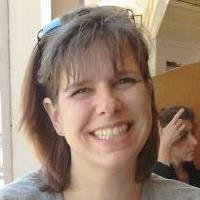 Jennifer Nicoles Porter is an Account Manager for an insurance company in Seattle. She’s also my sister, so you might note some similarities in voice, rant style, or belief systems.